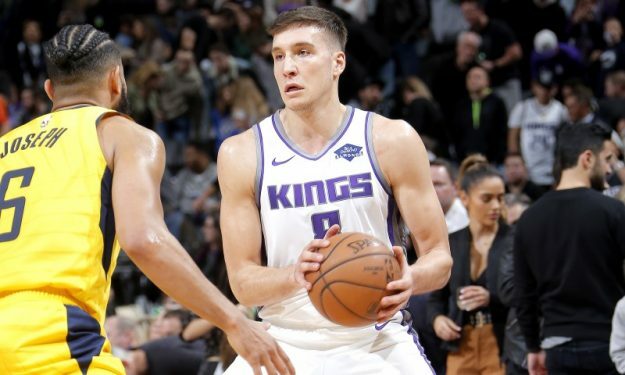 Bogdan Bogdanovic followed up his NBA career-high with a 20-point performance and a funny post-game interview. Bogdan Bogdanovic is always a pleasure to watch on the court, even down the stretch. He proved so once again on Saturday night helping the Sacramento Kings beat the Indiana Pacers and end there three-game losing streak. A couple of days after his NBA career-high he poured twenty points and dished six assists. Minutes after the match with 25 lead changes, the Serb guard showed his humor replying to questions from the commentators. He said they must have been entertained and admitted that it’s hard for them with himself and Bojan Bogdanovic on the court. He also commented on Kostas Koufos’ return and his European basketball experiences.